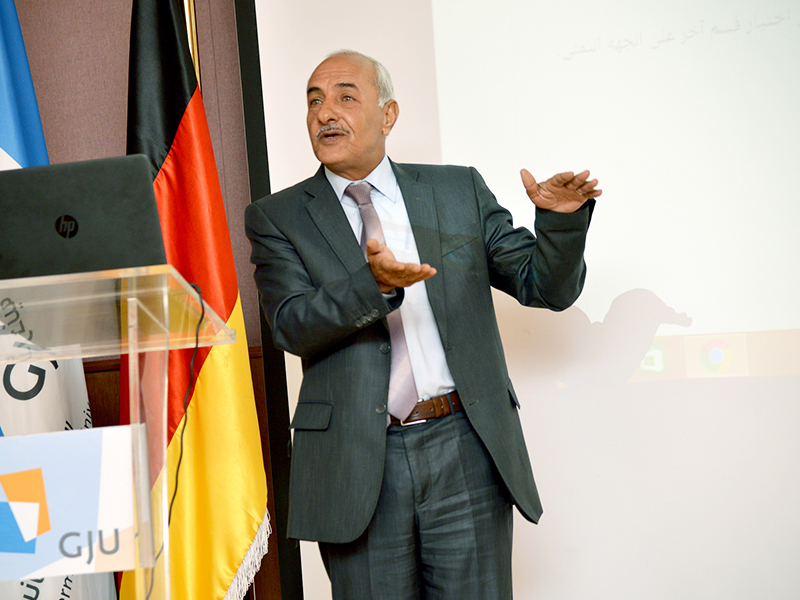 On Sunday October 7, 2018, the School Electrical Engineering and Information Technology (SEEIT) at the German Jordanian University (GJU), organized a workshop about “Open Education” in the presence of the President of GJU Prof. Manar Fayyad, Vice President Dr. Dorit Schumann, faculty members and representatives from Edraak and Princess Sumaya University for Technology. This workshop comes within the European project Erasmus+ “OpenMed: A bottom-up approach for opening up education in South-Mediterranean countries”, which aims to raise awareness and stimulate the use of open education tools in the Southern Mediterranean region to expand and enhance the teaching methods. 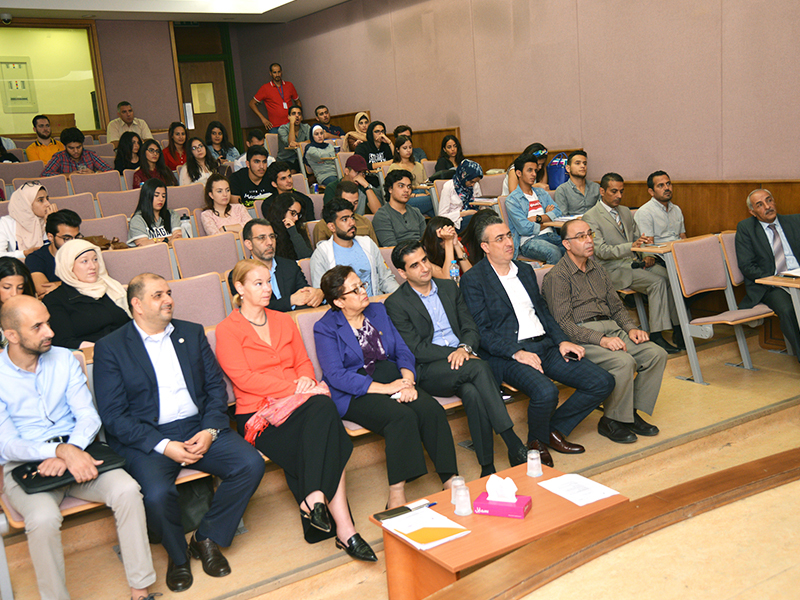 Dr. Manar said that the current trend is in the field of e-Learning .She Pointed out that the university has started to upload courses, educational materials and additional references to students through the official learning management system of GJU. She also mentioned the potential benefits of e-Learning to the students, where they can remotely and easily access the education materials and learning resources. For her part, Dr. Schuman explained the status of e-Learning and educational strategies to enhance the educational competitiveness at GJU. 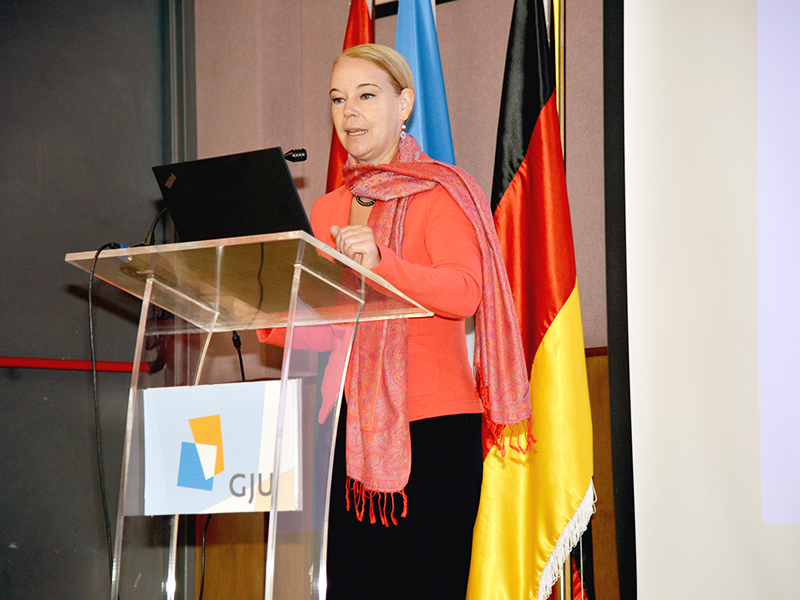 She gave examples in which advanced e-Learning technologies have been employed at GJU, where students can communicate with other students in Germany to mutually learn more about the language and the culture. 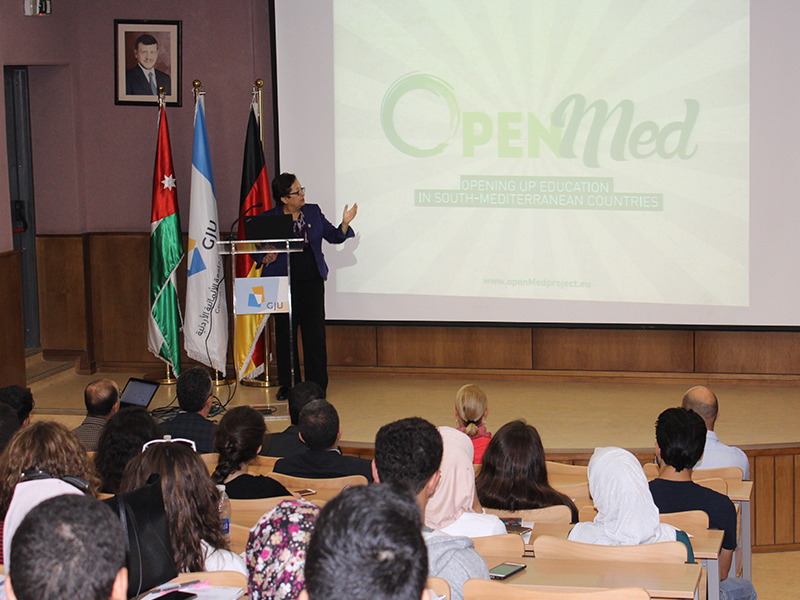 Dr. Mohammed Daoud the OpenMed Project Coordinator, presented the most important objectives of the project in South Mediterranean countries, that include Jordan, Palestine, Egypt and Morocco. 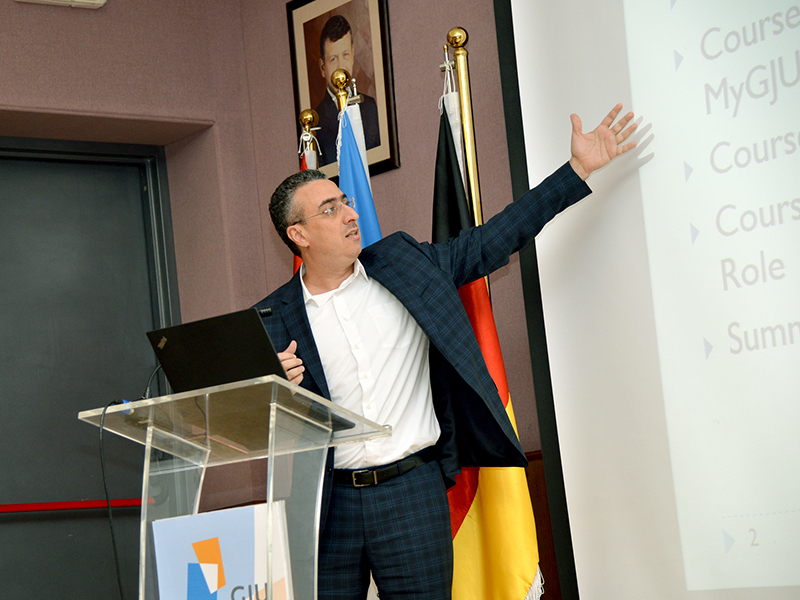 He also presented the results of a survey that was conducted on a sample of GJU students to identify the potential opportunities to implement advanced e-Learning and open education technologies at GJU. On the other hand, Dr. Feras Al- Hawari, the Director of the Information Systems and Technology Center at GJU, discussed the most important developments and programs integrated in MyGJU system to support e-learning services. 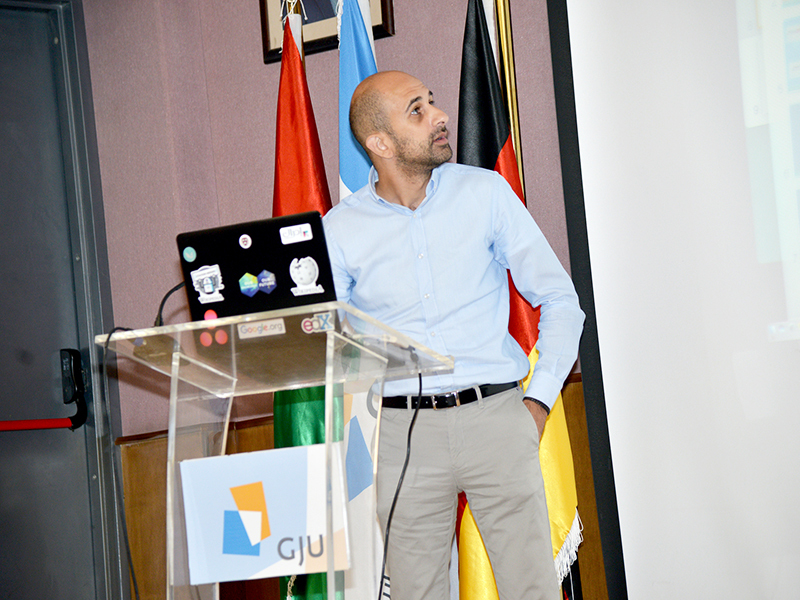 Dr. Abdullah Al- Raggad Director of the Public Library showed a case study of GJU’s national education course that is conducted through Edraak open education platform. 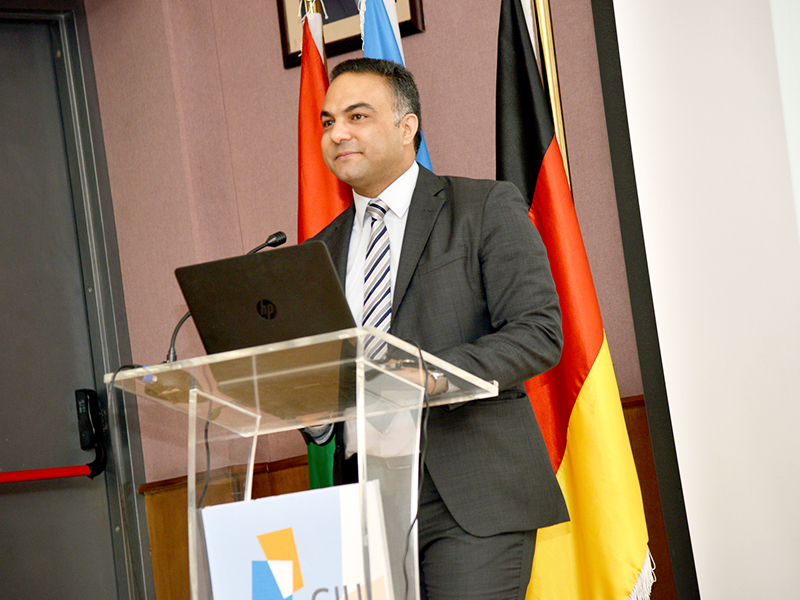 In his presentation, Dr. Adiy Al-Tweissi, the Director of the e-Learning Center at Princess Sumaya University for Technology, highlighted the potentials of integrating open education services in Jordanian universities. At the end of the workshop, Mr. Waleed Al-Baddad the Senior Course Manager at Edraak introduced Edraak as a massive open online course platform and discussed its current status and future directions.